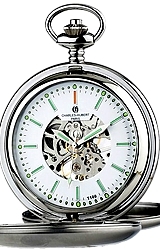 Charles-Hubert Paris has combined their finest quartz movement with the ultra bright T100 Tritium in a Hunter's Case (Closing Cover) Pocket Watch. 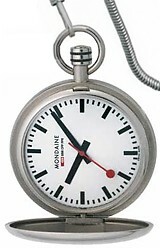 The all Stainless Steel Case and Cover assures trouble-free wear under the most demanding conditions. 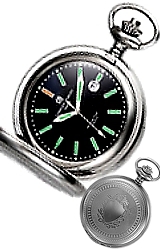 The watch remains protected in your pocket or hunting vest and is secured by the pocket watch chain included at no additional charge. 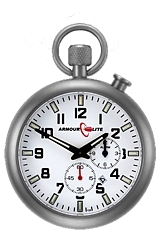 Model XWA5565 has an easy-to-read black dial with Tritium Tubes on each number marker and the hour and minute hands.